Crozet Running is owned and operated by John and Michelle Andersen who have lived in Crozet since 2003. The Andersens opened Crozet Running because they are passionate about helping people stay active and get back to fitness. 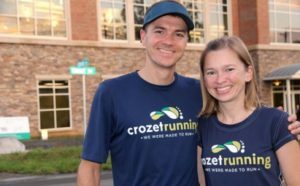 Come check out Crozet Running and see how you can improve your running or walking and live a better, healthier life!